Fair. **SHIPPED FROM UK** We believe you will be completely satisfied with our quick and reliable service. All orders are dispatched as swiftly as possible! Buy with confidence! Very Good. 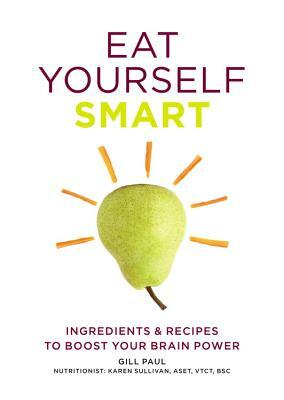 Eat Yourself Smart: Ingredients and recipes to boost your brain power by Paul, Gill, 2016-04-05. Trade paperback (US). Glued binding. 128 p. Eat Yourself. Very Good. Stimulate your little grey cells with these delicious brain-booster foods. 128 p. Eat Yourself . Good. Eat Yourself Smart: Ingredients and recipes to boost your brain power by Paul, Gill, 2016-04-05. Trade paperback (US). Glued binding. 128 p. Eat Yourself.